One of my big goals for this year was for Cody and I to source more of our own food. While I did manage to put away some fireweed jelly for winter, I’ve been slacking on some of my normal activities because I’ve just been so busy. Thankfully, my husband has jumped in to save the day. 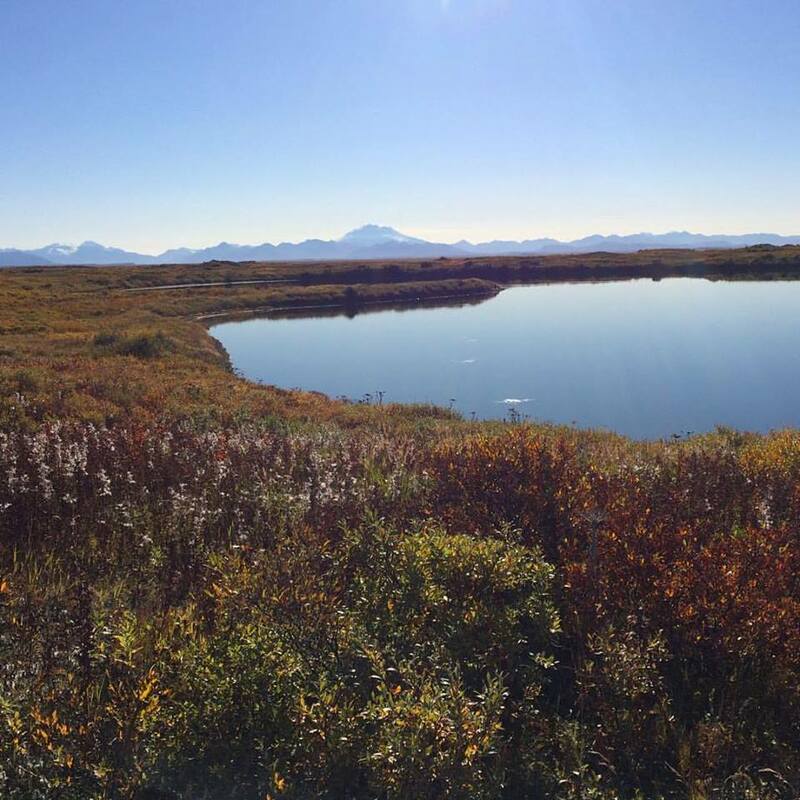 Waterfowl season is in full swing on the tundra and we happen to live in a huge bird migration area. Cody has been going out almost daily. He’s managed to get multiple ducks and geese. One of the ducks we traded for some caribou meat (score!) and we’ve given a couple of the geese away to other community members as trades for other items. 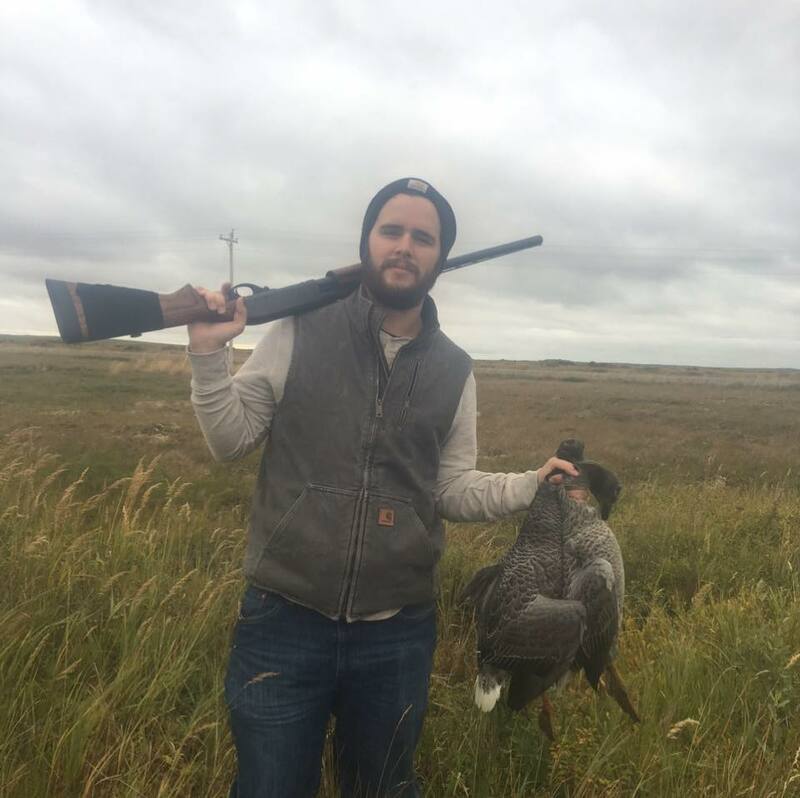 To hunt, Cody usually has to suit up with chest waders, boots, and a warm jacket. 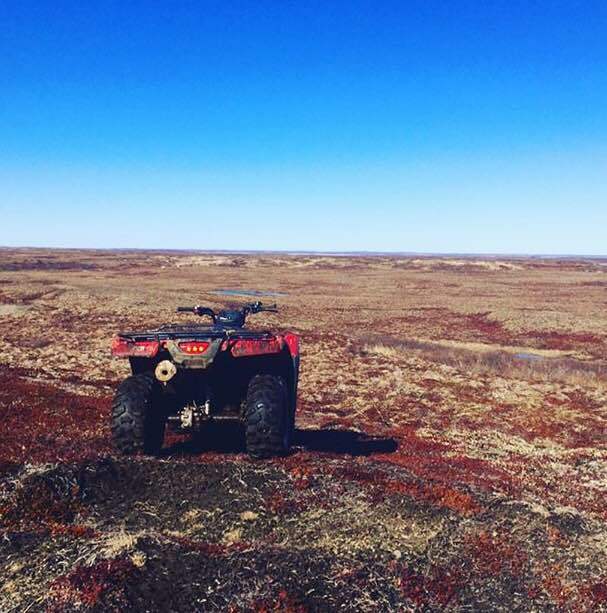 He then heads out on his four-wheeler and drives around the tundra looking for birds. They are ridiculously abundant here, so it really isn’t too super hard to find them. It is time consuming though because once you have located the birds you have to slog through the swampy tundra (hence the need for waders) to get close enough to shoot them and go get the ones you kill. After he kills them, he drives them back to our friends smoke house and he hangs them for about 24hrs. Once they’ve been in the smokehouse for a day he prepares them for the freezer. Here’s where I’m hoping you lovely readers can help me. I’ve been a vegetarian almost my entire life and Cody isn’t exactly a master chef. Do any of you lovely people have good duck or goose recipes you can share with me? We are also hoping to get a crane (they a local favorite) and I’m proactively looking for a recipe for that as well. I’d love to hear suggestions! This entry was posted in Simple Year Six, Sustainable Food. Bookmark the permalink. I have zero experience with cooking duck or goose, but I am a huge fan of the site allrecipes.com and a quick look shows they have recipe categories for both birds. The comments and ratings from real people on the recipes is great, and I rarely have a disappointment using recipes from their site. Thanks for the suggestion, Kathy! I am a big fan of using allrecipes.com too. They always have a great selection of options. I’ve never cooked either bird, but I know duck confit is supposed to be pretty excellent. Even better it was concocted as a way to preserve duck. Basically, you store the duck in its own fat and then you cook it later. I’m sure its a lot more involved than that, but its a thought. Also, since duck breasts are supposed to be pretty fatty, I think you’re supposed to score the skin before cooking. It helps the fat render and the skin get crispy. And maybe in the interest of no waste, you could try pate? I do not know how to cook duck or goose. However, I will recommend Nigella Lawson’s duck fat/goose fat potatoes. They are AMAZING. My parents hunted waterfowl. I seem to recall my mom roasting the duck in the oven.